His works arouse your mind’s eye into deeper realities and feed you with great food for thought. At the same, the stories enthrall you with fascinating storylines, Deep and philosophical his stories may be, but it is his ability to portray philosophy through unique and original storylines that makes him an interesting writer to read. The only person to have won the State Literary Award for English novel twice, he has a bag full of awards to his name that bear testimony to his writing talents. He won the ‘State Literary Award’ for his very first novel ‘Kat Bitha’ which inspired him to pursue literary adventures further. His second book ‘The Saadhu Testament’ became the first electronic novel by an Asian Author. He was also one of the joint winners of the first ever ‘Swarna Pusthaka Award’. Then he went to win ‘State Literary Award’ again for his book ‘Eavesdropper’. And recently he received a special lifetime award from ‘Foundation of SAARC Writers and Literature’ (FOSWAL) for his literary works. 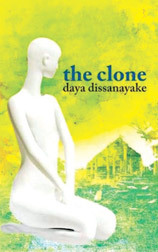 Daya Dissanayake, the writer of many award-winning literary works, joined this week’s encounter. Q: You received a special award from ‘Foundation of SAARC Writers and Literature’ recently. Can you explain about the organization and the background of this award? How does one qualify for the award? A: It is a great recognition. Annually they give a lifetime award for a selected set of writers from the region. You don’t have to submit your work. This time five writers were selected from the SAARC region. They are familiar with my novels and columns, so I got the award. Q: Your book the ‘Saadu Testament’ goes down in world history as the first e novel from Asia. 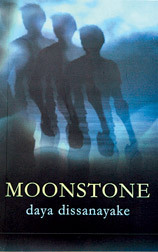 What made you decide you should publish a novel in the electronic format way back in 1998, when e-books were unheard of? A: It was my second novel and I did it in 1998. I put ‘Saadu Testament’ online for free reading, because I believe in sharing whatever that we write. 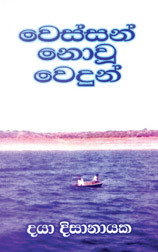 Then I published ‘Wessan Novu Vadu’ as an e-book later which is considered as the first Sinhala E-Book. 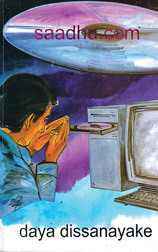 1998 was perhaps too early to publish an E-Book. But there were great responses from the Sri Lankan readers who stay abroad. The online reading is popular among international readers. But it is still not that popular in Sri Lanka. Very few people read books online here. You have to get used to it. The British Council has an online library and I use it very often. 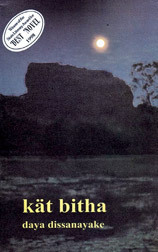 Q: Your first novel ‘Kat Bitha’ which won the ‘State Literary Award’ was about Sigiriya. You say Kasyapa did not kill his father. Is this based on historical data? 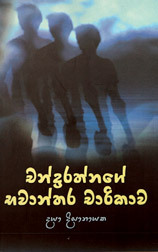 A: The ‘Mahavansa’ story says ‘Kashyapa’ killed ‘Dathusena’, but Paranavithana has written a different version. He bases it on what he claims as interlinear inscriptions. He says that in some of our stone inscriptions, there are interlinear writings. They have overwritten the earlier story. 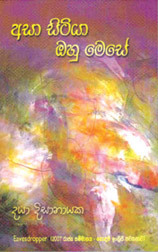 My novel was based on both ‘Mahavansa’ and Paranavitha’s version. 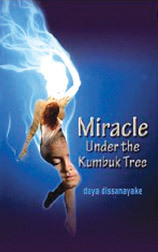 I tell my story through a young Buddhist monk who visits Sigirya in the tenth century. It took me four years to write it, because I wanted it to be historically accurate. I believe if we write a historical novel, we can’t distort history. I don’t give a conclusion. I leave it to the readers to accept whatever version they want. Q: Your ‘State Literary Award’ winning book Eavesdropper istold through thoughts that go through a young man who is dead to the world, but is very much awake to everything happens around him. What inspired you to write the story? A: There was a case in the US where a pregnant woman went into a coma. But her life was maintained through a life support system till the baby was born. They unplugged it only after she delivered the baby. And that was incident which inspired me to write a story like that. Q: Your novel ‘Chandraratnage Bhavantara Charikava’ was short listed for the ‘Swarna Pusthaka’ award, why do you think it was not chosen for the award? A: It was the first year that the award was initiated. Back then there was a lot of opposition for giving five hundred thousand rupees for a novel. The State Literary Award gave only 50k. So they shared the prize among the shortlisted writers. The next year, ‘The Book Publishers Association’ told the panel specifically to select a one book for the award. From 2008 onwards they have been giving the award to a single winner consistently. Q: Don’t you submit your work to ‘Gratiaen’? A: I always submit, but I don’t have expectations. My kind of writing is not the sort of writing they want. Q: Most times only seasoned writers get recognized in local literary award competitions, what should we do to identify young talent? A: I think it is important to have a separate award ceremony to unearth young writers and young talent. It is not easy for young writers to compete with seasoned writers. Q: You are bilingual writer. Do you write in one language and then translate it to another or do you write them simultaneously? A: I write simultaneously. I don’t call any of my novels as translations. Sometimes an idea would come in English and then I put it into Sinhala or sometimes it happens the other way around as well. I have to write while the idea is still fresh in my mind. 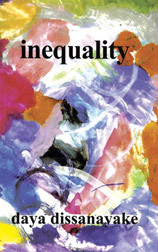 Q: You published one collection of poetry, ‘Inequality’. 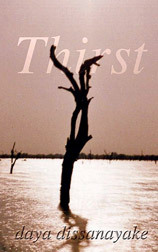 Why is it that you have not published another collection in English or a collection of your Sinhala poetry? 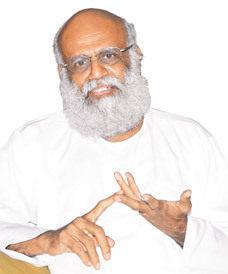 A: I have written Sinhala poems also, but I haven’t bothered to publish them. In Sri Lanka, the publishers are reluctant to invest on poetry books. They want the writer to invest on the book. Even if it is a poet with reputation, the publishers tell them to invest in the cost of printing. 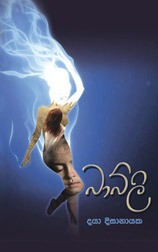 Q: How should we take Sinhala literature to English readers? A: The only way to approach English readership is through translations. I have been promoting the idea of translating award winning ‘Sinhala’ novels into English for so long. We have people who can translate, but somebody should take initiative to do it consistently. Also our writers do not get enough publicity outside the country. 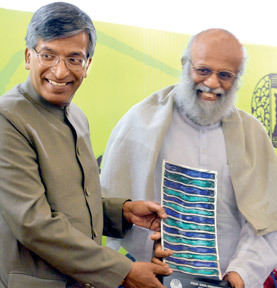 For example, the organizer of ‘Jaipur Book Festival’, Namita Gokhle came to Sri Lanka and she has heard only of Shehan Karunathilaka and Michael Ondaatje. Not even Martin Wickramasinghe or Sarathchandra are known to them. The other thing is Indian book distributors don’t take Sri Lankan books. They are not interested in taking books published here. They want to publish their own books. 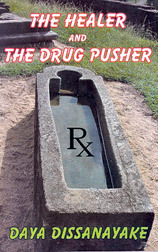 If they want to publish there, they have to publish five thousand copies and they don’t want to take that risk. And the problem with other established publishers is that they don’t accepted unsolicited work. You have to go through a literary agent, but we don’t have literary agents in this region. Q: Are you working on anything new these days? Q: The Clone’ is your most recent novel. Why do you say it is a historical novel from the future? A: The story is told by a Clone, developed from an original human cell, but hundred thousand years from now. It is asexual clone, but I call the clone ‘she’. According to the book, during twenty first century, human race disappears. So she tries to find out why this happened. From prehistoric times to modern times, she analyzes the causes for the extinction. My theory is from the moment man kind started to evolve, he has been disruptive and that the degeneration of man kind is a gradual process that started from the very moment man started walking on feet.